What does it mean when your iPhone screen turns while? WSoD or White Screen of Death is an abbreviation that refers to the state that an iOS device doesn't turn on normally but only show a flat white screen. So, basically it means when your power on your iPhone, it will not show anything except a white screen. Now, the death literally doesn't mean that your phone is totally dead. Fortunately, there are several ways that can help to fix your iPhone with little effort. Now, the white screen of death may occur due to several reasons like if you have dropped the iPhone severely or there's some hardware problem or the system software has failed to recognize the operating system. Whatever the scenario is with your iPhone but the question stands on how to fix it. Now before you start having panic attacks and start trembling around, you will have to calm yourself and follow this short guide where we will show you how to fix this issue in no time. As you may recall a reboot fixed some weird issue on a computer. The same principle also applies to iPhone. A hard reset on iPhone means we will force the device to boot and clean all things up from iPhone internal memory. However, please don't be scared. Hard reset won't delete any of content from the device. Step 1: Completely turn off the iPhone. Step 2: Turn on the iPhone by pressing Home and Power button together. Step 4: That's it. This should turn on your iPhone. Please note that this process may not work if your iPhone is severely damaged or have hard problems. In that case move to the next method. DFU mode stands for Device Firmware Update, which means that the phone can still communicate with iTunes without boot loader. So, we will take this as advantage and use it fix the iPhone. Step 1: Launch iTunes from a working computer. Step 2: Connect your iPhone to PC using a USB data cable. Now your iTunes should automatically detect the problem and will advise you to restore the settings. 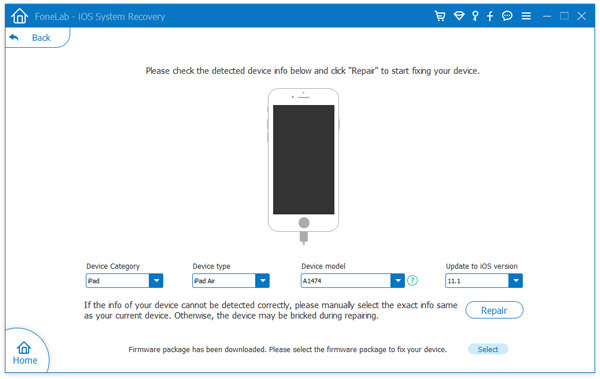 Step 3: Click on "Restore iPhone" followed by "Restore" when it is asked. Step 4: This will reset all the setting of your iPhone and refresh the device. 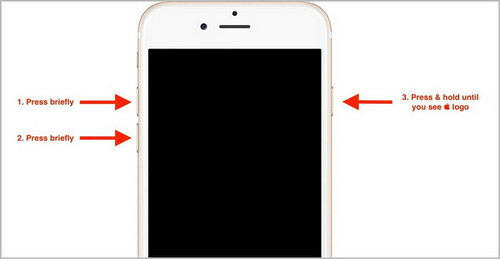 Now, you can turn on your iPhone normally without seeing the white screen. Pros: Works if there's any kind of software problem with the device. Cons: Any interruption during this process may brick your device completely. If the above suggestion still didn't fix the problem, then the last chance is by running special software like iOS System Recovery. It is an advanced system repair toll to fix all kinds of iPhone problems, including the white screen of death. Simply follow this procedure and you should be able to fix the issue with just few clicks. Firstly, download the program on your PC and make sure to download the compatible version as it is supported in both Mac and Windows platform. Then, you should install the software and launch it for the first time to see the main interface and benefits of this tool. Next, you should connect your faulty iPhone to PC using a USB data cable. 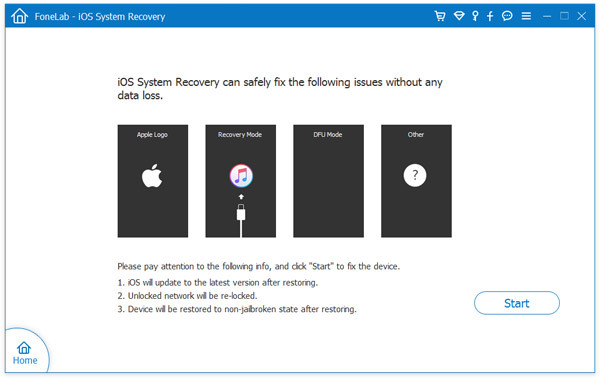 Upon connecting, the software will automatically detect your device and show the next screen by clicking More Tools at the botton of left saidbar and choose "iOS System Recovery". Next when the process is started, it will ask to input the iPhone details. So correctly fill all the details and click on "Repair". These files are larger in size, so it may take several minutes depending on your internet speed. Kindly wait patiently while this process is finished. 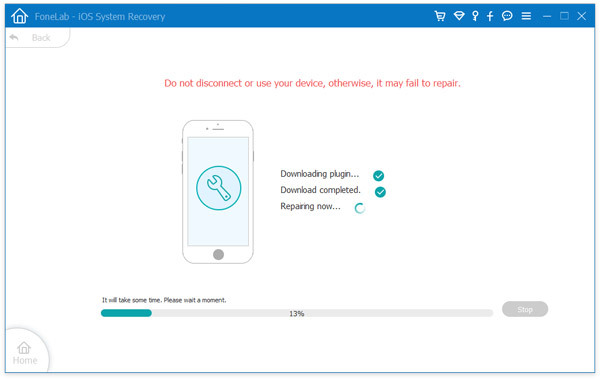 Now as soon the downloading is finished, the software will automatically attempt to start repairing your device. You will be able to see the following screen and meanwhile you can either wait for the operation to get finished or you can work in the background as it will not interrupt the software. As it is done, your iPhone should work normally and you can use it again without any hustle. 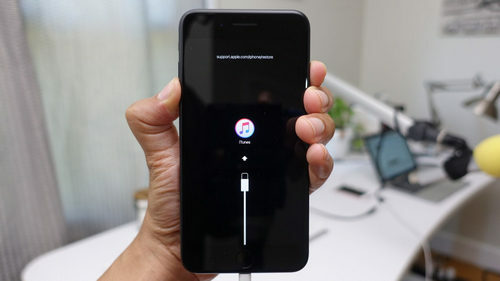 Please note: It is recommended to keep the iPhone connected to PC the entire time until the operation is finished to avoid any interruption. The iPhone may run into problems beyond your expectation. Nothing to be worried when you have a copy of TunesBro iOS System Recover because it can certainly fix the white screen of death issue and it is assured that no data will be deleted during this process. 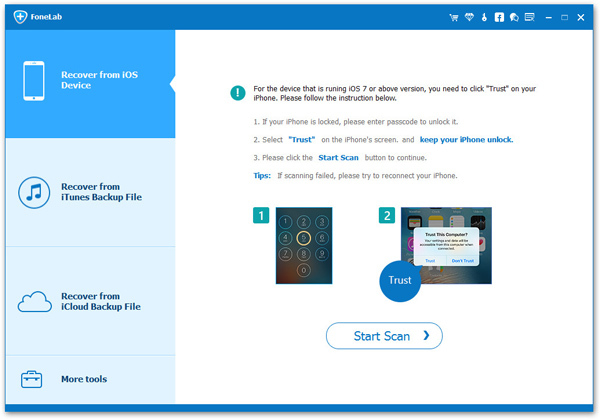 So your files are safe and secure and at the same time your iPhone will be back to normal.